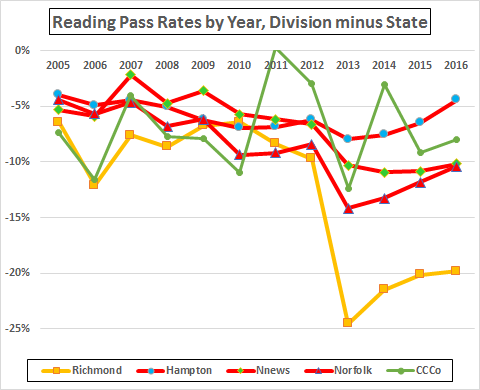 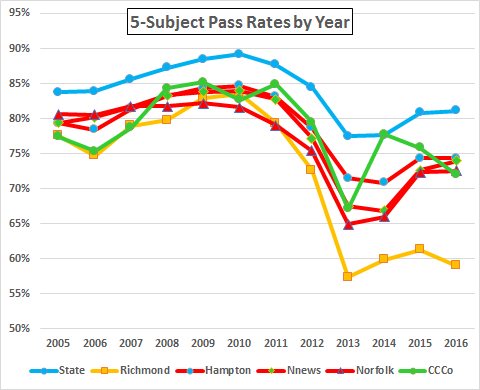 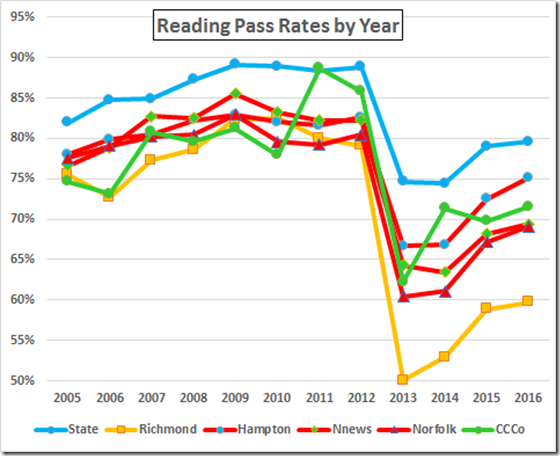 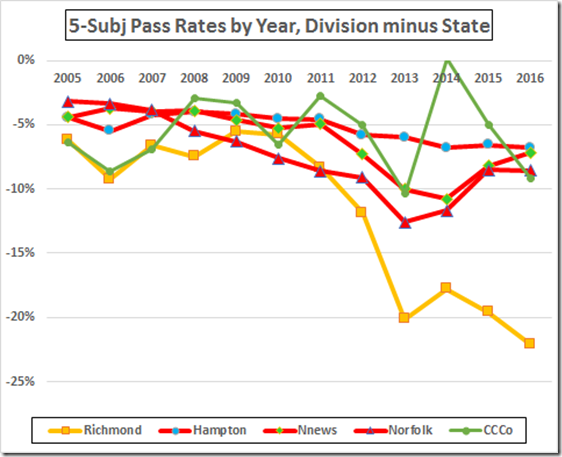 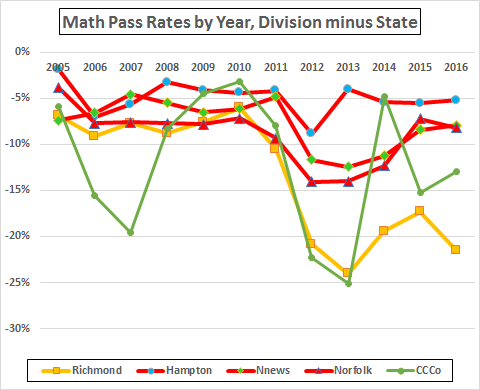 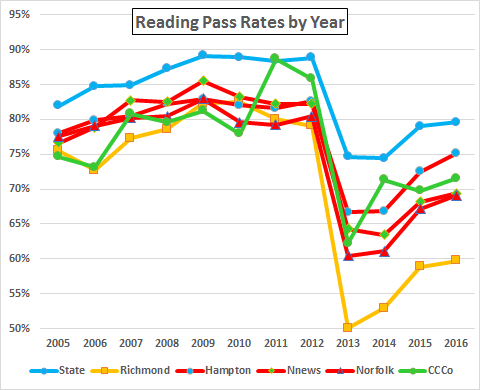 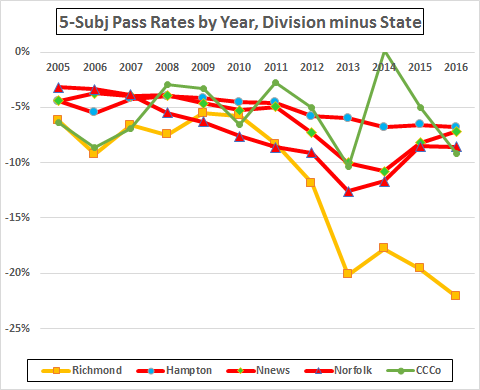 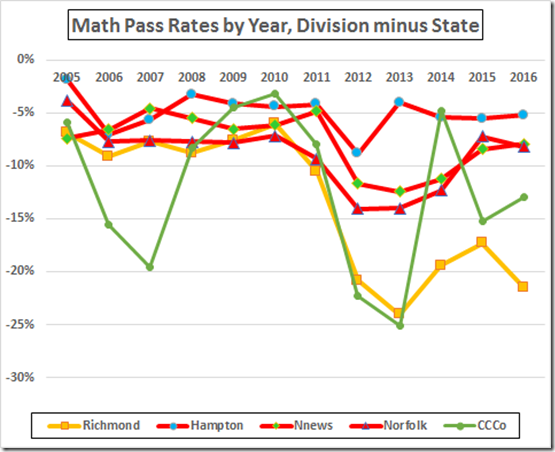 As a second bite at the SOL data released today, here are pass rates by year for Richmond; the peer jurisdictions of Hampton, Newport News, and Norfolk; our neighbor, Charles City; and the state. 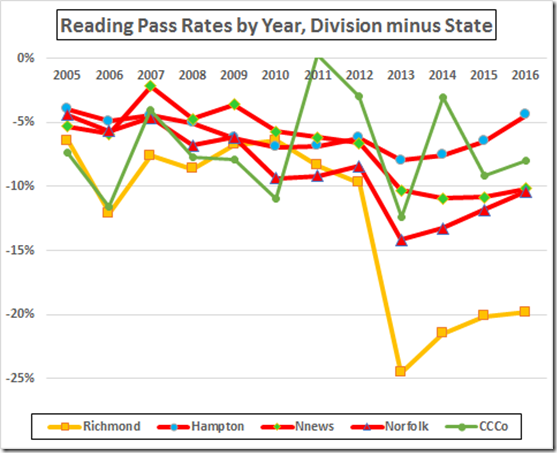 Here are the same data, expressed as pass rates of division minus state. 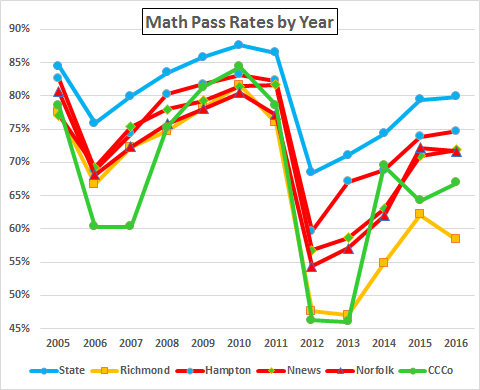 Upon reflection, firing of the School Board and Superintendent would be too kind.